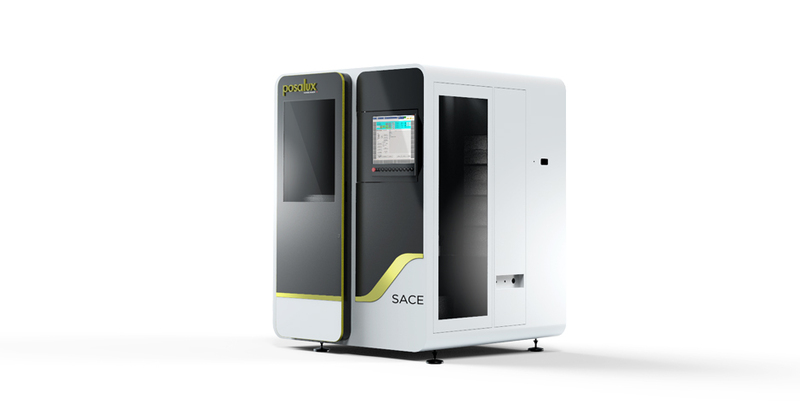 SACE line kicks off the next generation series of drilling and routing machines. Its the fastest D&R system in the market. It builds the bases for a brands strong personality and product design language. Thanks to its performances and flexibility it can reach a vast range of markets, from aerospace to PCB passing through automotive, medical and many others. It offers intuitive, highly innovative and timeless design. The Acid Gold ring that frames the frontal panel of the new machines is a statement of Posalux’s promise to our clients. It emphasizes that Posalux’s commitment to providing quality after-sale services. The S line represents a Crest which is the point of highest value in a wave. 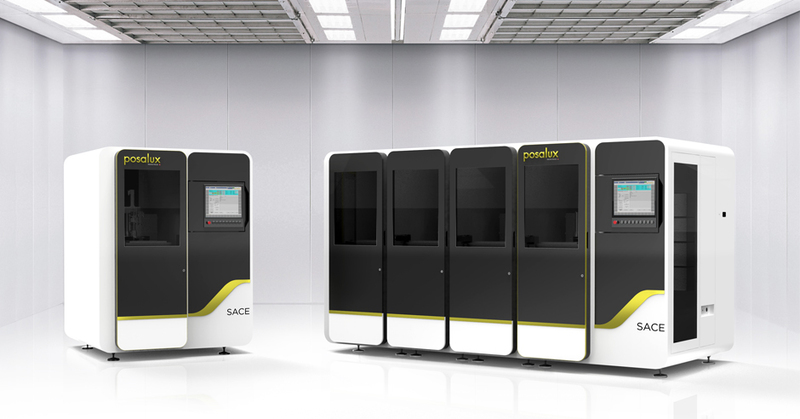 This graceful rising curve in the frontal view of the machines highlights the ever-increasing value provided by Posalux machines, expanding on the concept of a wave of light found in Latin in the name of the company. 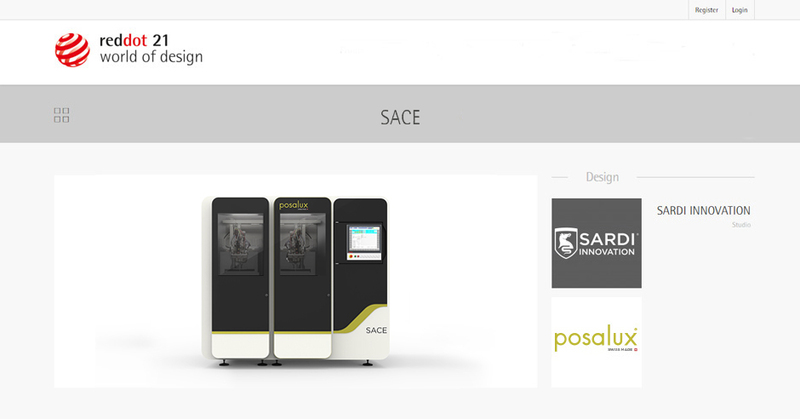 SACE offers a modern, ergonomic and innovative habitat inside the industries working environment.